Rehabilitation can help hemiparetic patients to learn new ways of using and moving their weak arms and legs. With immediate therapy it is also possible that people who suffer from hemiparesis may eventually regain movement. However, reductions in healthcare reimbursement place constant demands on rehabilitation specialists to reduce the cost of care and improve productivity. Service providers have responded by shortening the length of patient hospitalisation. 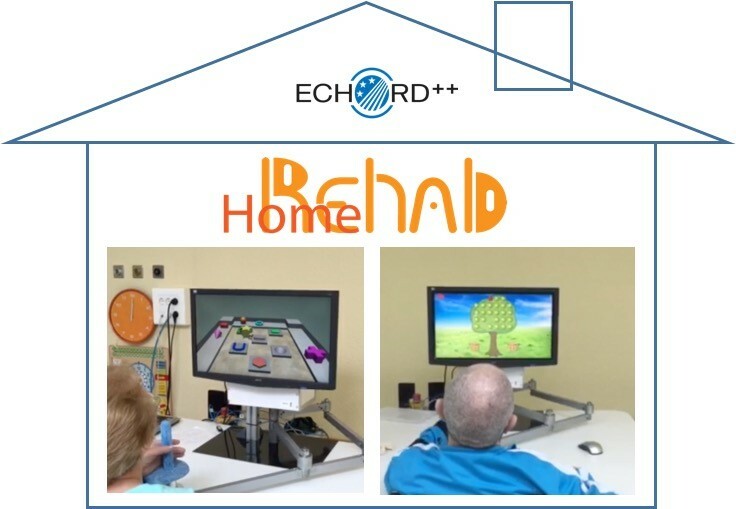 The HOMEREHAB project will develop a new tele-rehabilitation robotic system for delivering therapy to stroke patients at home. It will research on the complex trade-off between robotic design requirements for in home systems and the performance required for optimal rehabilitation therapies, which current commercial systems designed for laboratories and hospitals do not take into account. Additionally, the new home scenario also demands for the smart monitoring of the patient’s physiological state, and the adaptation of the rehabilitation therapy for an optimal service.